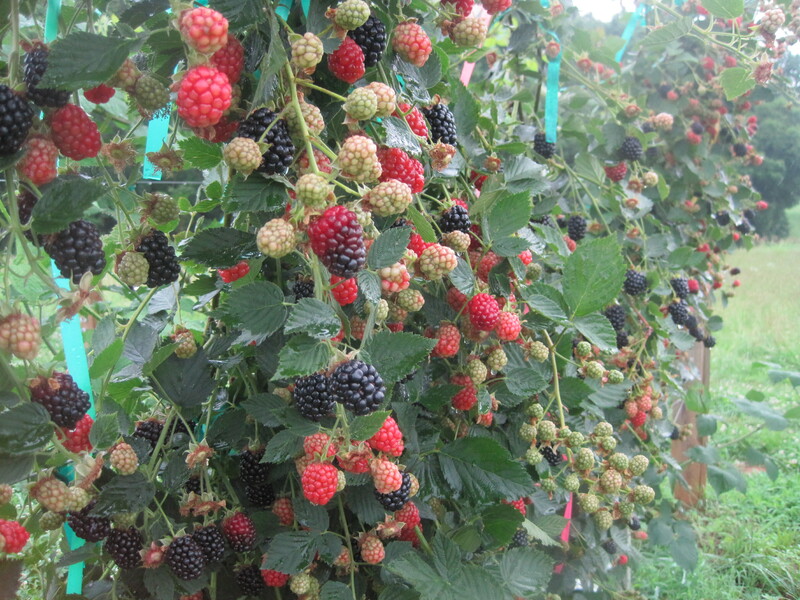 A PowerPoint from N.C. State brambles specialist, Dr. Gina Fernandez, outlines the basics of bramble production, including site preparation tips, trellis and high tunnel information and an overview of blackberry and raspberry varieties and their unique characteristics. The brambles family consists of a wide variety of plants, many of which bear edible fruit like blackberries and raspberries. This “family tree” depicts selected bramble berry varieties and identifies them as naturally occurring species or hybrids.